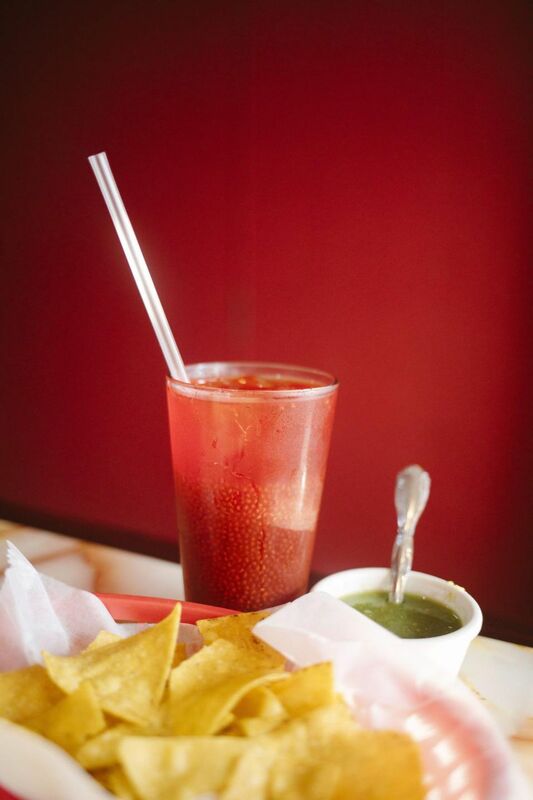 The flavors of the Brooklyn neighborhood of Sunset Park change by the avenue. From Third to Fifth, you’ll see menus in Spanish — foods from Guatemala, Mexico, Honduras, the Dominican Republic or El Salvador. Walk east to Eighth Ave., and you’ll hear dialects spoken across China and Southeast Asia. These spots showcase just a few of the options for grazing as you walk west from the subway station at 59th St. and Fourth Ave. The year-old El Espino is almost two restaurants in one — or maybe three, if you count the bar hidden in a side room. One half of their menu features central Mexican food, but the other is Salvadoran, the latter less common in most parts of the city. It’s hard to resist the Salvadoran antojitos, or snacky apps like the tamale de pisques ($2.50), made with earthy masa with a thick smear of refried beans down the center. The enchiladas done in the the style of El Salvador — crispy tortillas with toppings like chicken stewed till silky with peppers and onions ($3) — are practically a meal on their own. And of course there are El Salvador’s famous pupusas, savory stuffed cornmeal cakes ($2.50) that are worth an order just for the bowl of carrot-cabbage-chili slaw called curtido that comes with it. They go well with a $3 chan, a bright-red but barely sweet drink made with tiny black seeds of the same name, lime juice and strawberry extract. Karen Deli Grocery is like a mullet: It’s business up front, a party in the back. Make your way through the aisles of pantry staples from Mexico and other Central American countries and you’ll find a little Guatemalan restaurant complete with it’s own beautiful mural. There are multiple menus: One with many less-than-$10 specials like pepian de res, or beef stewed in a mix of seeds and spices; another with breakfasts of eggs served with beans, cheese, crema and tortillas; a short list of Mexican snacks like tacos and tortas; plus numbered photos for simple but satisfying snacks like tortillas spread with thick salsa verde, diced raw sweet onion and crema for $1.50. 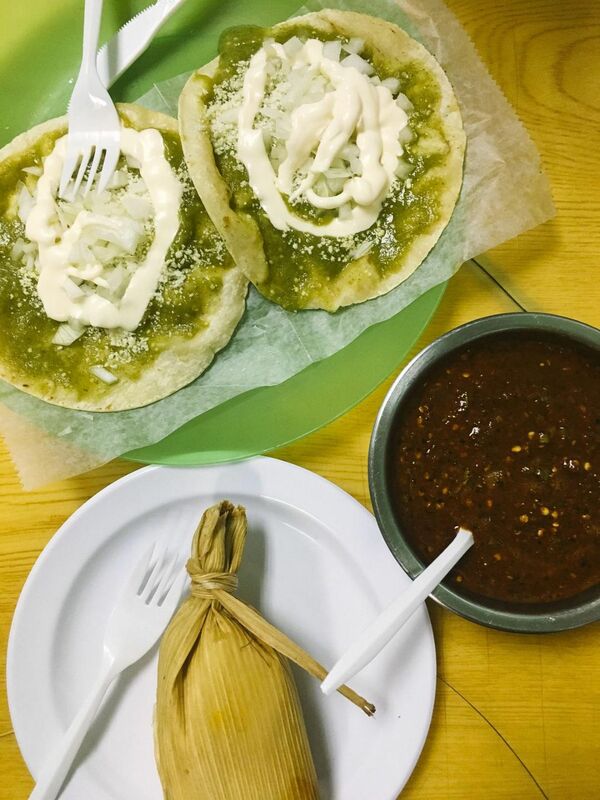 Don’t skip the chuchitos, pint-sized Guatemalan tamale filled with pork and red chilis. 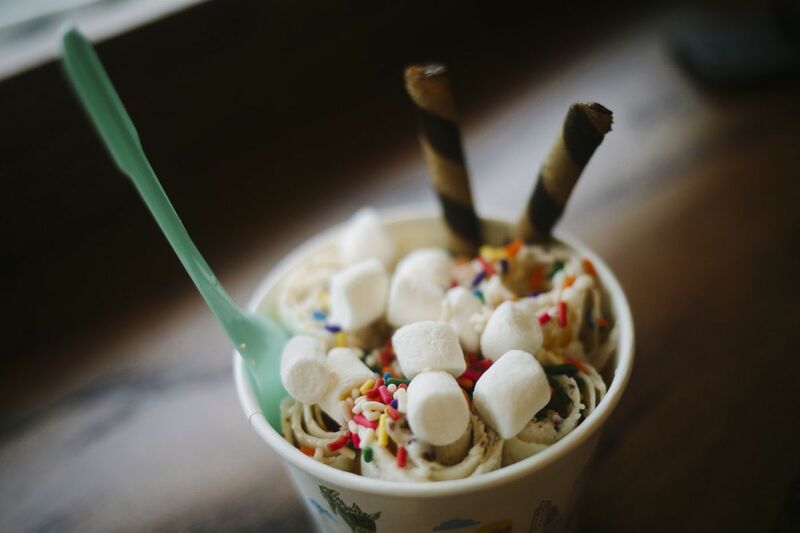 Thai-style rolled ice cream sundaes may be last year’s hot dessert, but watching them being made never gets old. The counter at I CE NY in Sunset Park is perfectly positioned for peeping the process as liquid ice cream base is spread across an ultra-frozen disc then scraped up into feather-light rolls. It’s $6.43 for one of seven flavors, not to mention dozens of mix-ins, salty-sweet toppings and sauces. There are also dozens of other options on this pages-long menu. 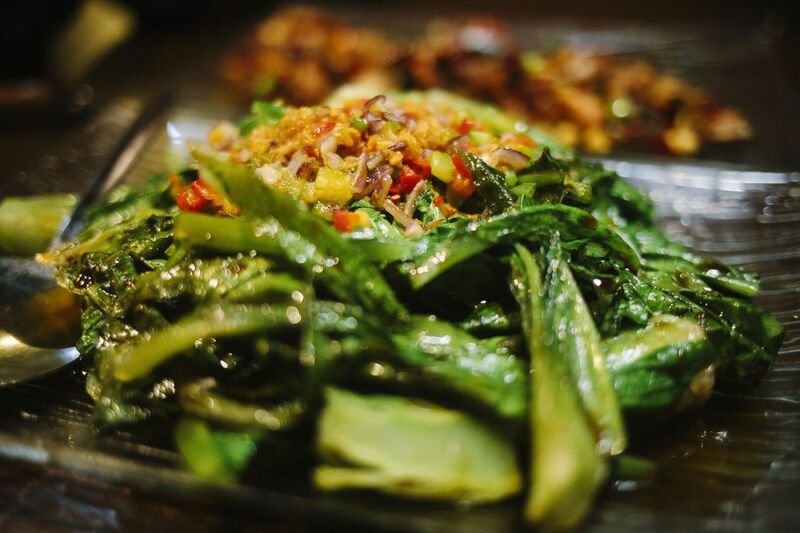 Vegetables like the leafy long green called Chinese lettuce are braised in onion and chilis till just wilted ($12.95), while sauteed bean sprouts and smoked tofu are tossed like salad and wrapped in thin rice-flour crepes ($15.95).